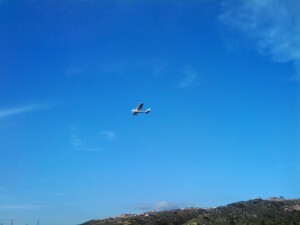 Airplane Flying in El Cajon – They must be looking for the best deal for El Cajon Appliance Repair Service. We provide honest & affordable appliance repair in El Cajon. SDACC’s El Cajon appliance repair services include refrigerator repair, washer/dryer repair, oven repair, and more. To request an appointment for appliance repair in El Cajon, give us a call at 619-327-9501. You can also schedule an appointment at the bottom of this page. For more information about our appliance repair services view our Repair Services Page. We have information on the many types of kitchen appliances we repair. The SDACC Repair Blog features short stories and photos of our recent repairs. Many of the appliances repaired right here in El Cajon. We repair most major home appliances such as Washing Machines and Clothes Dryers. We also repair all types of refrigerators such as Built-In Refrigerators, Standard Refrigerators, and Side-By-Side Refrigerators. We can help with Dishwashers, Winecoolers, Ovens, and many other home appliances. Our service charge is $30 for all home appliances. The service charge for Commercial Appliance Repair is $75. You’ll only pay for parts and labor when you have your appliance repaired by us. We provide and honor a 1 Year Labor Warranty, and 90 Day Parts Warranty. This warranty covers all parts used in your repair. We’ll handle the manufacturer’s warranty if a part does fail. Your satisfaction is 100% guaranteed. Complete the form below to request appliance repair service in El Cajon. You can also call us at 619-327-9501 to request service. Thank you for your interest in our El Cajon appliance repair services. Request appliance repair service by completing the form below. We will contact you to confirm your appointment time and details of your appliance. You can also schedule an appointment by calling (619) 327-9501. We will call you to confirm your appointment time and date once we have received your request. If we are unable to get in contact with you to confirm your appointment, we will not be able to send out a repair technician to your location. Please call us at (619) 327-9501 if you have any questions. We only need your email address to send a confirmation of your appointment request. We promise not to spam you or sell your email to other companies.